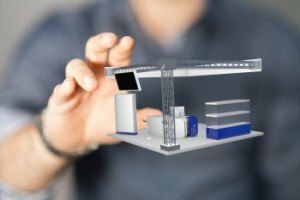 At Skyline Exhibitor Source in Knoxville, trade show exhibits for every size and type of business are a specialty. If your company is looking for a trade show exhibit that offers convenient transport and set-up, complete flexibility, and a polished, unified look, Skyline's Myriad line is a perfect solution. 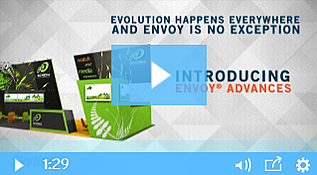 When you need to send small teams into the field, or you exhibit in a variety of venue types and booth spaces, you will appreciate the Myriad options and features. Trouble-Free Transportation - The Myriad system is based on banner stands, so each Myriad unit packs into a narrow tube-shaped case, which is easy to carry and stow. 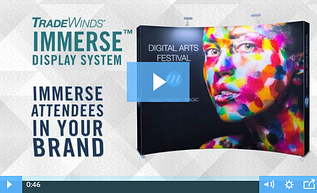 A standard 10-foot backwall is comprised of a pair of Myriad banner stand units and a center panel, which can be stored and transported in an optional wheeled Arrive case with a custom graphic wrap. The case doubles as a table or workstation once it's emptied, and can be transported in most passenger cars. Solo Set-Up - A single person can easily set up an entire Myriad backwall with no tools, in just minutes. Set each base on its feet, put the gallery light arm into its socket, pull the retractable banner up and hook it onto the arm. Hang the center panel, plug the lights in, and you're done. Snap the lid back on the case, and your table is done, too. Easy Updates - The custom graphic banners in the Myriad units are easy to change out, so if you frequently roll out new products or you update your message seasonally or from market to market, updating is a snap. Slide one banner out, slide the new one in, done. You don't need tools. It's a more economical way to make graphics updates, too. Change one unit to showcase something new, or swap out the entire backwall; either way you'll save significantly over replacing single-panel backwall graphics. 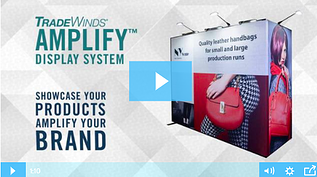 Configuration Options - When you need to adjust your booth display to adapt to a different shape or size, a banner stand system offers all the flexibility you need. You can place the center panel in sockets on the front of rear of the banner stand bases, depending on how you want to use the backwall. 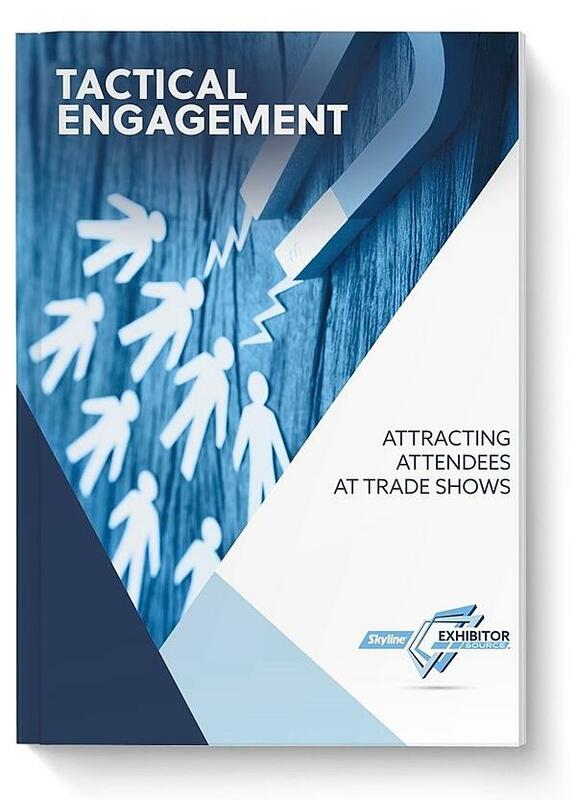 Place the individual stands on the aisle or outside your booth to attract traffic or put your literature closer to the aisle. Display Accessories - If you need shelves for sample merchandise or demo products, or literature racks, Myriad has those options, as well. All the accessories for the Myriad system, such as shelves, are designed for most convenient packability and portability. Each shelf fits into a socket on the base of a Myriad stand, and each banner stand has 2 sockets available for accessories. 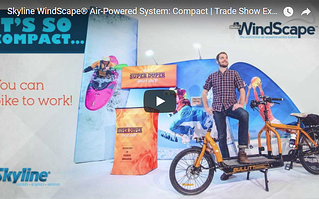 For exhibitors in Knoxville, trade show exhibits built with the Skyline Myriad system from Exhibitor Source offer impressive flexibility and value. 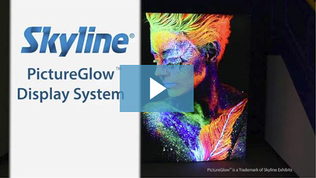 As part of Skyline Displays' network of more than 150 locations worldwide, Exhibitor Source provides seamless service for its customers for local shows and abroad. 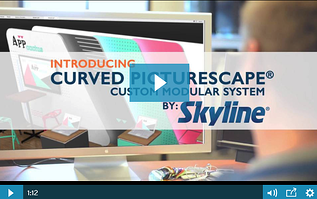 Contact us online of call us at 865-673-3457 to learn how Skyline trade show display from Exhibitor Source can help your company achieve its marketing objectives.